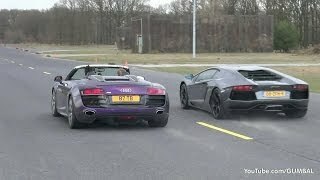 2017 Audi S5 Sportback B9 + Audi A5 Convertible! 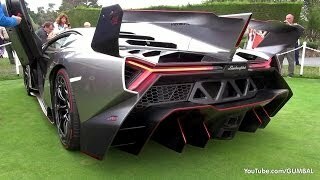 1000HP Audi RS6 DTM - REDLINE Revs + Accelerations! 735HP Audi RS6 Avant ABT 120th Anniversary Edition! 2014 Audi RS6 Avant C7 - Start up, Revs + Overview! 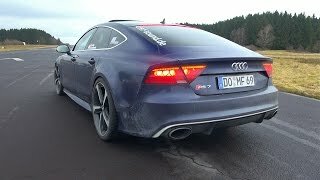 700HP Audi RS7 Sportback - Brutal Revs & Accelerations! 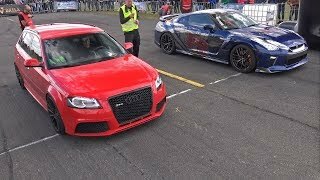 Audi RS3 Sportback vs Nissan GT-R - DRAG RACE!